We asked our composers a series of questions based around their musical likes and dislikes, influences, challenges, and various other things on the theme of music and their careers. Each month we will bring you answers from an OUP composer, giving you an insight into their music and personalities. 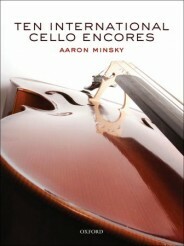 Today, we share our interview with composer and cellist Aaron Minsky. Visit his YouTube channel for an insight into the man and his music. Which of your pieces are you most proud of and holds the most significance for you? I am most proud of my concerto, The Conqueror. It utilizes the experience of 30 years of cello performing and composing plus a lifetime of study of the great orchestral works. Written during the immensely threatening Hurricane Sandy, it is imbued with drama and power. The piece is loosely based on the life of Genghis Khan and contains Mongolian-type melodies synthesized with rock cello concepts. I am thrilled with the prospect of seeing it performed in major concert halls. I gave the world premiere this spring in New York City with the Staten Island Philharmonic. Which composer were you most influenced by and which of their pieces has had the most impact on you? My solo cello works reveal my debt to J. S. Bach. I considered his Cello Suites the ‘Bible’ of cello composing and loved how he utilized the range of the instrument to create self-standing contrapuntal gems. As great as his suites are, I wanted to create new suites with modern musical influences to carry on the tradition. I knew I could never match the loftiness of Bach, but I felt I could fill a gap in the repertoire with new techniques and styles, and do it with an emphasis on joy! Image credit: Image courtesy of Aaron Minsky. Can you describe the first piece of music you ever wrote? Most of my early pieces were songs, but my very first composition was in the style of Mozart. I was aware of the great composers even before I became influenced by the music of my generation. The biggest challenge is staying relevant. It’s hard to believe that my first publication with OUP dates back to the 1980s. The Cold War was ending, the dollar was strong, and the Soviet Union was in shambles. The popularity of the United States was at a high and American culture was embraced around the world. In this climate, Ten American Cello Etudes was a perfect fit. Then globalization took hold, multiculturalism became the byword, and Ten International Cello Encores reflected this change. Most recently, Pop Goes the Cello proposes a new popular style of cello playing beyond the confines of any particular region. If you could have been present at the premiere of any one work (other than your own) which would it be? Whatever was on the radio. I tend to surf around and listen to a wide range of music — from the classics to rock to jazz to world music. I might have been a rock star. My early influences were bands that combined classical music with rock such as the Beatles. I was also influenced by improvising bands, like the Grateful Dead. While still in high school I became a professional guitarist. Feeling that Hendrix, Clapton, and a few others had done just about all one could with a guitar I saw the cello as open territory. I was ready to plant my flag when, due to changing musical currents, the curtain fell on experimental rock ending my dream. I remember around that time staring at a picture of Fernando Sor (the great guitar etude writer) and thinking, I may never become a rock star but I bet I could preserve my melodies in cello etudes. Thus the composer seed was planted. What piece of music have you discovered lately? After my trip to England last year I was inspired to dig into its great symphonic heritage. I listened to the complete symphonies of Vaughan Williams among others. I have particularly enjoyed Vaughan Williams’s London Symphony (in which I hear shades of one of my heroes, George Gershwin). 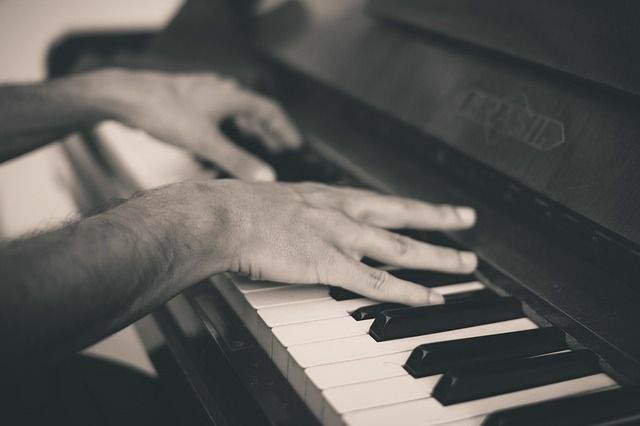 Image Credit: ‘Piano, Keys, Hands, Musical Instrument’, Photo by Unsplash, CC0 Public Domain, via pixabay. Is there an instrument you wish you had learned to play and do you have a favourite work for that instrument? I wish I had studied keyboards earlier. That would have been helpful for my composing. There are so many great pieces. If I had to pick a favorite I’d say Brahms‘ Second Piano Concerto. But I love many instruments including the french horn, the English horn, the bass clarinet, even the contra-bassoon — all of which are featured in my concerto! Is there a piece of music you wish you had written? Of course I wish I had written the Dvořák Cello Concerto. But I am glad to have composed the Minsky and am honored to be following in his footsteps. I would do what I usually do when I travel — listen to the music from where I am. Since this island would be surrounded by the ocean I would listen to the music of the sea! First on my list would be La Mer by Debussy, which captures the bluster of the glorious, churning sea. Then I’d pick A Sea Symphony of Vaughan Williams for its depth and powerful exploration of emotions connected with the sea. Finally, I would pick Jimi Hendrix’s 1983 A Merman I Should Turn to Be for its imaginative depiction of life under the sea. This is best answered by taking a trip to my website. I have audio clips of myself as young as 13 years old jamming out on guitar in every rock style I could muster. Some of the songs I wrote at age 14 have held up pretty well. You can hear in the tapes I made from age 16, the onset of classical influences. You can also hear the birth of the ‘celtar’. In the tapes from my college years you hear the influence of jazz, world music, and improvisation. We also hear the early days of my career as a classical cellist. From there my move back into rock can be heard with clips of the Von Cello Band. The website pretty much ends with Von Cello but will soon be updated to show how I have moved back toward classical, especially in my compositions … which brings us back to the first question about which piece I am most proud. I hope my concerto will be just the first step in the next chapter of my life: Aaron Minsky — orchestral composer. Image Credit: ‘Cello, Strings, Classical Music’, Photo by seget, CC0 Public Domain, via pixabay. Aaron Minsky's compositions are standard repertoire, his music appearing in the curriculums of the ABRSM, the American String Teachers' Association, and the Australian Music Examinations Board. Aaron has given masterclasses and performances in the United States, England and Ireland, and has an Australian tour planned for later this summer. 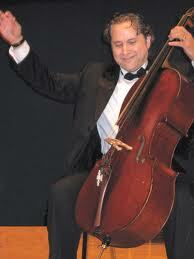 Also known as Von Cello, Aaron has appeared on radio and television and has performed with a wide range of artists from David Bowie and Tony Bennett to Mstislav Rostropovitch. Aaron's 'celtar' style (which combines cello and guitar technique) has entered both the popular and classical musical worlds. He had a broad musical education, studying with Harvey Shapiro and Channing Robbins of Juilliard, Jonathan Miller of the Boston Symphony, George Saslow, Einar Holm, and David Wells of Manhattan School of Music where he obtained a Master of Music degree. More at Aaron Minsky’s website.